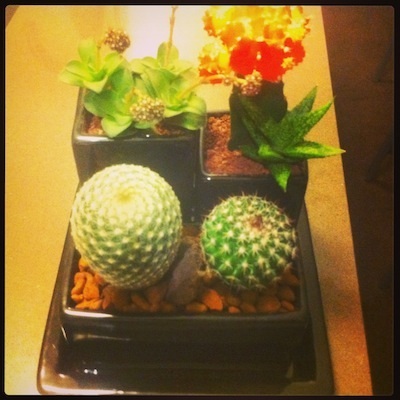 My friend inspired me to create my very own mini cactus oasis after seeing the one that he had created for his home. In this post I will explain how you can create your own mini cactus display and the tools you will need. Small plant pots – Things always look more aesthetically pleasing in sets of three. 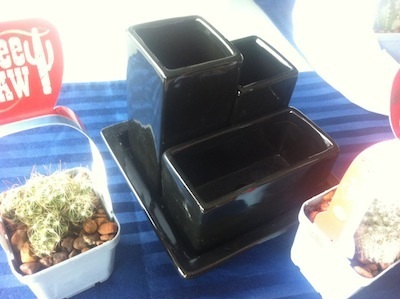 This set of three small pots was purchased at Masters for only $3.95 and was available in either black or white. 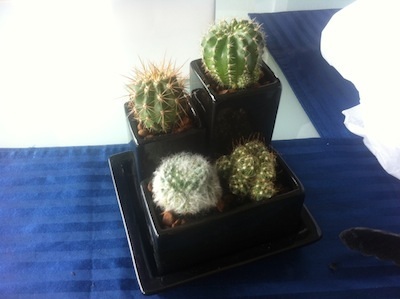 It was the perfect size to plant small cactus plants and was a pretty option. 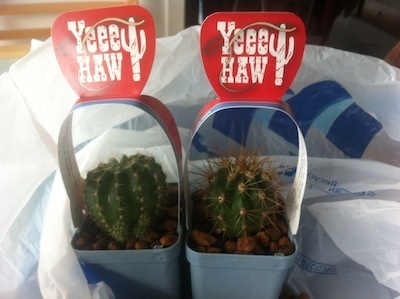 Cactus plants – Also purchased from Master for only $3.95 each. They were the smallest ones available and were less than half the price of the cacti I found at Victoria Markets, which was the only other place I found cacti of this size. 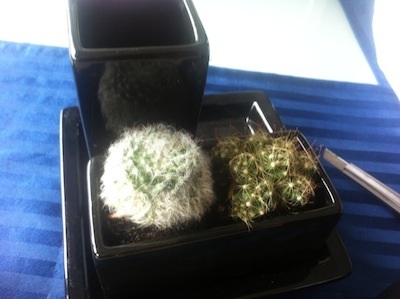 Step One – Gently tip out the small rocks from each cactus into a separate pot; you will be using them to add the finishing touch once you have transferred each cactus into their new pot. Step Two – Gently loosen up the cactus by either holding it in your hand with your gloves on, or gently using tongs to twist and pull it out of its pot. Be sure to keep the roots attached. 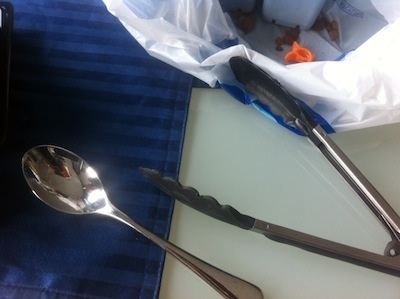 Step Three – Once you have gently extracted the cactus from its pot, put it aside and use your small spoon to scoop out the soil and transfer it into the new pots. 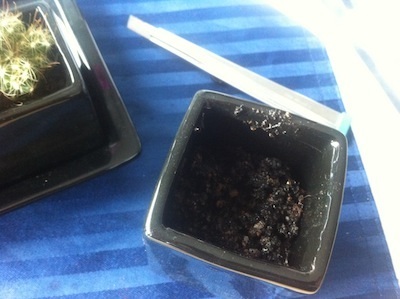 Step Four – Once you have transferred all the soil from the old pot, into the new one, use your spoon to make a small hold in the centre of the soil to fit the roots of cactus. 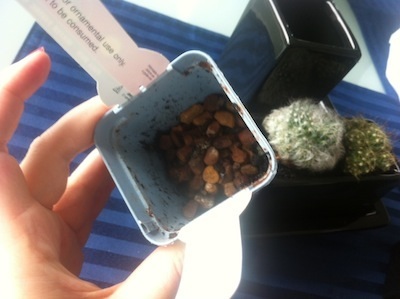 Step Five – Once the cactus is in place, neatly spread some of the stones you put aside in step one over the soil to finish the look. Repeat these steps until you have re-potted all the cacti into their new pots and voila, you now have you new mini cactus oasis.